The stance is beautiful, a DJM 3/4 kit was the magic. DJM Dream Beams (replacing the factory I-beams) in the front gave Gerald a 3” drop with the factory coil springs. Using the factory coil springs is the key to proper front end alignment. The rear was lowered with a leaf spring Hanger & Shackle kit. Staying with the original 15” wheel and tire combo is a great styling choice! This is what a 38 year old, well preserved interoir looks like. Gerald has stayed with the orginal look both inside and out. Very refreshing to see an old truck in it’s factory dress! If you look close, I think that’s an factory installed 8-track tape player in the dash, wow! How many remember (and still have) 8-track tapes? 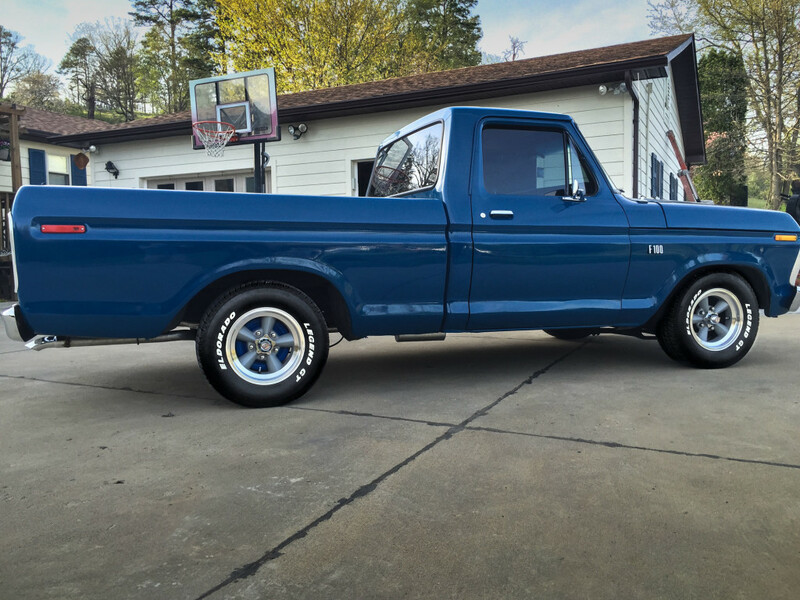 Gerald dropped a 5.0L Mustang GT engine into this 78 F100, mating it with a 4-speed AOD (automatic overdrive) transmission from a 91 F150. Next order of business? Custom dual exhaust, of course. A new aluminum radiator, another great choice. The entire upgrade looks very clean, sweet you might say! Everything Gerald has done is bolt in or bolt on. He did a great job of “modernizing” a 38 year old truck with an affordable, improved engine and drivetrain. 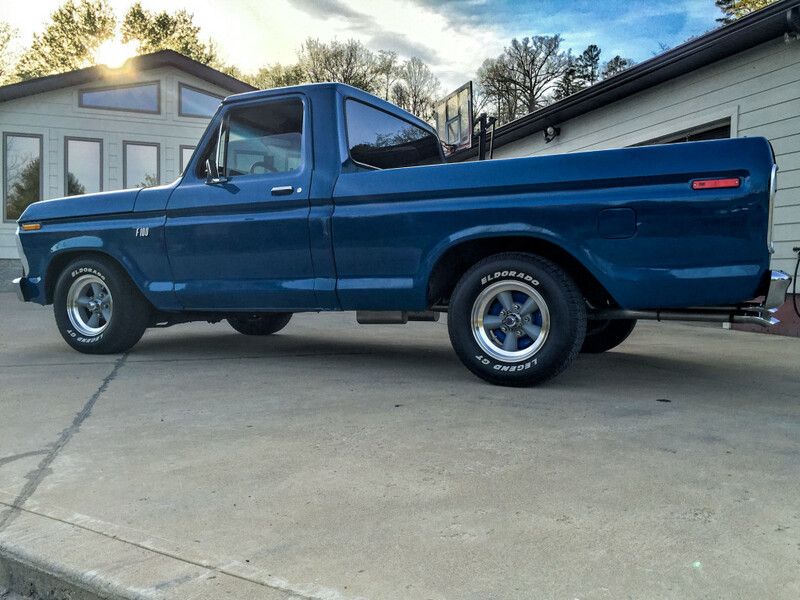 Having a clean 78 F100 helped, and he made smart decisions on how to upgrade and style! You can do it too! What DJM Kit Did Gerald Use? The famous DJM Dream Beam set up for king pin Fords. Find out more? Click on the button.